The IFSB Annual Meetings 2018 and CBK-IFSB Conference on Islamic Finance are hosted by the Central Bank of Kuwait. Participation in the 32nd Meeting of the IFSB Council, 16th IFSB General Assembly and Welcome Dinner is by invitation only. For enquiries, please email khairun.nissa@ifsb.org. All the other events are OPEN to ALL INTERESTED PARTIES. Please email your enquiries to conference@ifsb.org. The IFSB and CBK look forward to welcoming the members of the IFSB, and Islamic finance industry stakeholders to Kuwait City. 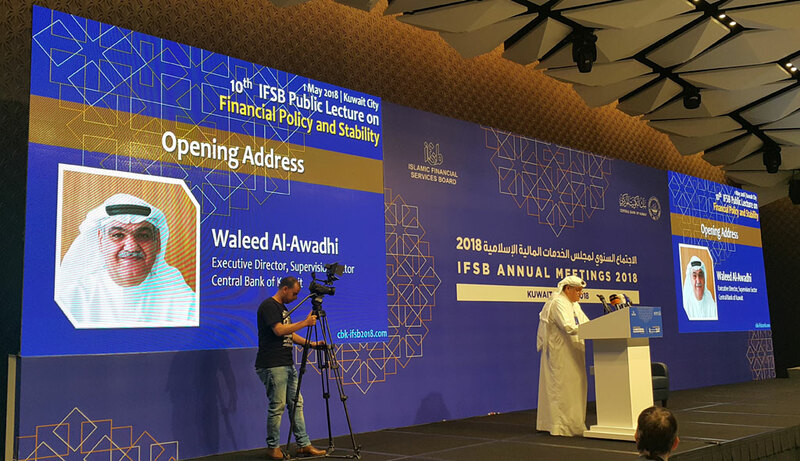 In conjunction with the IFSB Annual Meetings 2018 which was held in Kuwait City, Kuwait, the IFSB has organised series of Side Events which took place from 1 – 2 May 2018, hosted by the Central Bank of Kuwait. The Lecture was then followed by the Members & Industry Engagement Session. The session started with the Welcoming Address by Mr. Waleed M. Al-Awadhi who shared the development in Islamic finance industry in Kuwait. The session continued with a presentation by Mr. Mamadou Ndiaye, Chairman of Conseil Regional de lEpargne Publique et des Marches Financiers (CREPMF), West African Economic and Monetary Union (WAMU), on their experiences as the Capital Market Authority of the WAMU, and their initiative to promote Islamic capital market in the region and forward plan. Over 100 participants attended the Lectures and Members & Industry Engagement Session. 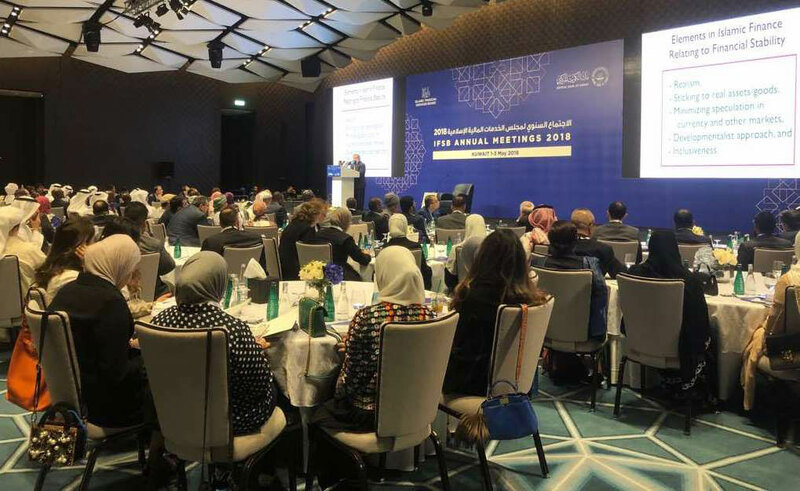 It was attended heads and senior representatives of regulatory and supervisory authorities (RSAs) and financial institutions from over 20 countries, among the IFSB members and the Kuwait local financial community. 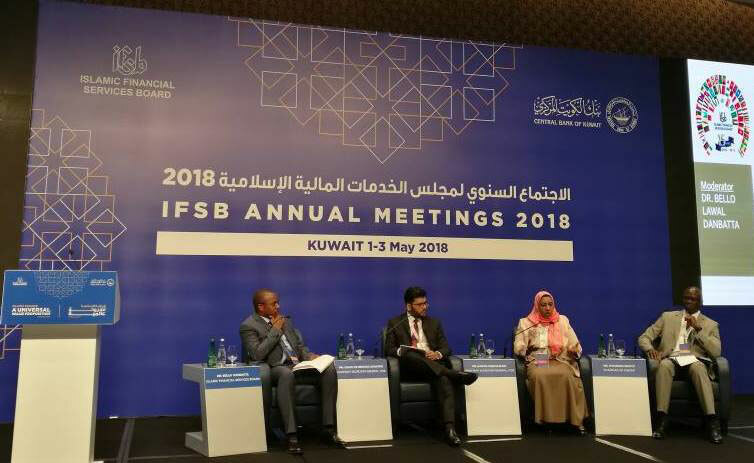 The CBK-IFSB Conference on Islamic Finance was held on 2 May 2018. Themed “A Universal Proposition”, the Conference aimed to discuss the role that Islamic finance can play in government strategies to build a diversified and sustainable economy and to present a collective way forward for the Islamic finance industry to reach its potential. The Conference commenced with Plenary Session. The Plenary Session saw the opening address delivered by the Representative of His Highness the Amir, H.E. Dr. Nayef Al-Hajraf, Minister of Finance, Kuwait followed by Dr. Bello Lawal Danbatta with his welcome address. The Keynote address saw H.E. Dr. Mohammad Y. Al-Hashel, Governor, Central Bank Kuwait delivered his speech and presentation. Inherent in Islamic finance are explicit elements that contribute to financial stability, such as risk-sharing, its direct link to productive economic activity, and other inbuilt checks and balances that address many of the issues that surfaced in the conventional financial system during the global financial crisis. While these aspects of Islamic finance present the potential to reduce volatility, strengthen financial stability and contribute to better allocation of resources, the recognition of the existing challenges in fully realising these objectives, as well as the emerging challenges arising in the financial and economic environment due to low commodity prices and geo-political situation require deeper consideration of the next steps needed to strengthen the Islamic finance industry"s resilience and robustness. At the same time, in view of the growth of Islamic finance to domestic systemic significance in many jurisdictions as well as increasing integration in the global financial system and the resulting risk of spill over and contagion effects - additional consideration is needed in further developing the financial architecture and enabling environment for Islamic finance that could ensure sound development of the Islamic financial services industry in the wake of ongoing socio-economic challenges in various regions in general and GCC in particular. The Islamic financial industry has made significant progress, with many jurisdictions now having put in place or actively working towards introducing or strengthening the essential fundamentals in the financial infrastructure needed to support the sound expansion of Islamic finance. Islamic finance has also been considered as an important tool to strengthen inter-regional trade, support corporate and SME sector growth and spur infrastructure development. The current challenge is to take the industry to its next stage of development and reinforce the robustness of the industry in a more challenging and dynamic socio-economic environment. Of importance in this respect, is the need to further build and advance the key strengths of Islamic finance as well as enhancing institutional capacity in the industry. From the perspective of stakeholders, building an enabling environment for Islamic finance and ensuring a level playing field with conventional finance are critical to the development of the industry. To achieve these objectives, appropriate adjustments to a range of policies - including from trade policy to monetary management, liquidity and capital market development initiatives as well as fiscal and taxation policies - have been recognised as key areas of concern. Current economies have proven to be vulnerable to the emerging risks, slower growth, and volatility due to lack of diversified financial systems. This coupled with changing macroeconomic markets conditions including policy normalization, plunging oil prices and increasing budget deficits have provoked more thoughts for diversification. Islamic finance offers a universal value proposition with inclusive growth that appeals to all, with its adherence to real economic transactions and its specificities including restrictions on speculation, synthetic transactions and industries that are not deemed to be good for the community. It can help in macroeconomic diversification, sustainability, and financial inclusion. In light of current economic concerns, Islamic finance, with its universal appeal and inclusiveness, can be widely used by governments and financial institutions as a strategy to diversify their source of funding and drive economic growth and social development. It can also be leveraged by government to strengthening their financial infrastructure and increase global cooperation. In this session, key thought leaders will provide insights on the recent economic trends and how Islamic finance can play a pivotal role in government strategies to build more diversified and sustainable economies. In the fast-paced changing regulatory environment, policy makers face continuous pressure to develop strong regulations to support a robust regulatory eco-system. At the same time, there is a widening gap in the implementation of regulations between developed and emerging markets, which poses a key challenge to the development of a strong financial system. Should regulators focus on closing this gap, or should they be proactive and forward looking in developing more regulatory infrastructures. 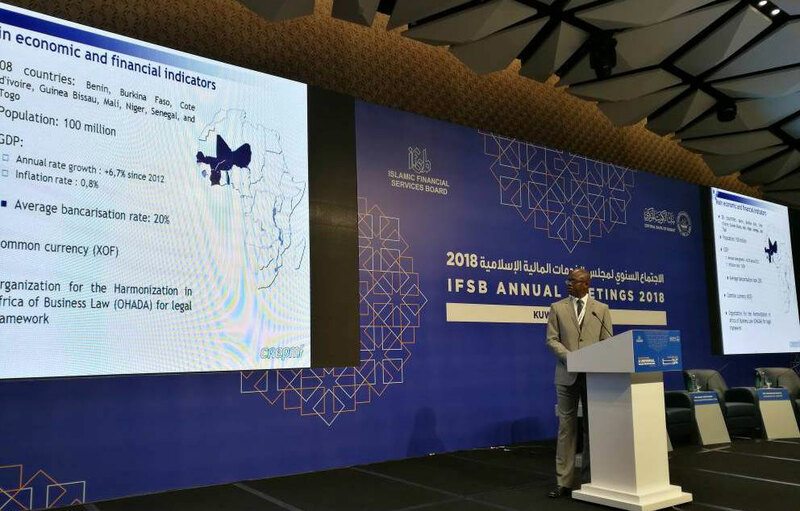 As Islamic finance continues to play a bridging role in effective development of financial and regulatory infrastructures, regulators are looking at enhancing their regulatory frameworks. This session will provide an insight on strengthening regulation, proportionality and flexibility, convergence in regulatory regimes to avoid arbitrage, complimenting microprudential with macroprudential measures, and effective risk-based supervision. It will bring together regulators and stakeholders to discuss recent regulatory developments in Islamic finance and present insights on the main challenges and solutions in creating a robust regulatory regime. The financial inclusion agenda, the emergence of disruptive financial technology startups (FinTech), the lack of regulatory technology (RegTech), and emerging potential cyber security risks are placing increasing pressure on the industry ? both regulators and Islamic financial institutions. While Islamic finance has not proven exempt from these emerging risks and disruptions, there is a high degree of opportunity and potential for Islamic finance stakeholders to leverage on the technology to promote greater engagement, transparency, and impact in their respective market segments. The session will feature different Islamic finance stakeholders from around the world, who will share their insights and thoughts on how Islamic financial institutions can navigate through these challenges. The purpose of this session is to discuss the future of Islamic financial services industry and offer a platform to address macro and micro level challenges that continue to hold the industry back from its potential, and to propose solutions to these challenges along with a roadmap for the future of Islamic finance. Despite its universal value proposition, the Islamic financial services industry has yet to reach its true potential. Financial inclusion continues to be a challenge in many markets, SMEs continue to be under served by Islamic banks, and many Islamic banks still continue to struggle for scale and financial stability. In addition, with the advent of FinTech and other disruptive trends, the industry faces even more challenges on the horizon. 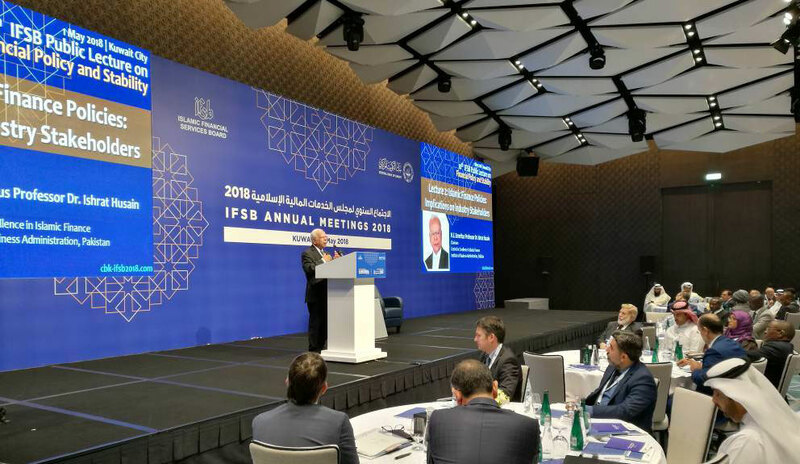 This session also incorporates the main aspects of the 17th IFSB Financial Stability Forum, which will focus on transparency and market discipline in Islamic financial institutions. It will bring together regulators and market leaders from the Islamic financial services industry to present their views, share recommendations and propose a collective way forward for the industry.